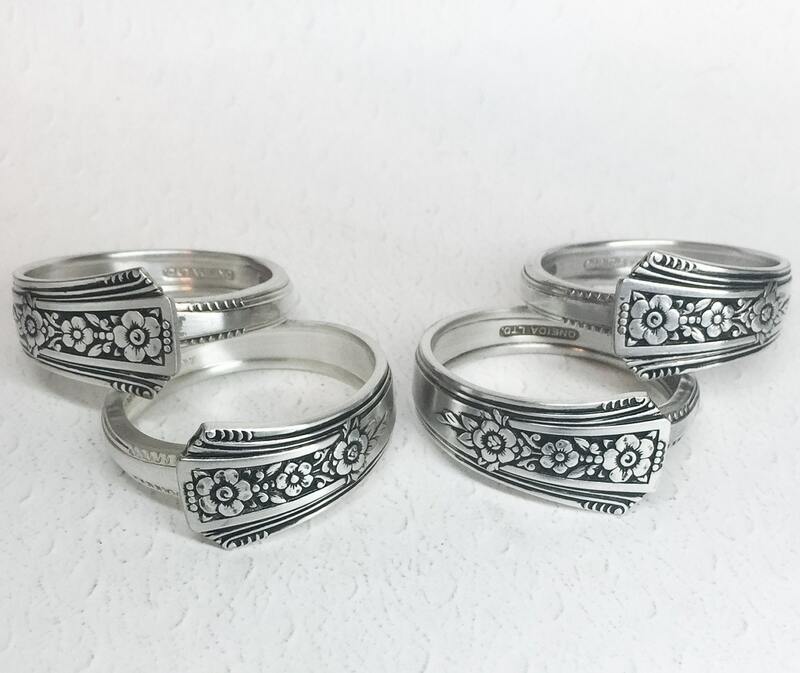 I created this set of four silverware napkin rings from vintage table spoons. The pattern is the striking 'Fortune' from 1939. They measure 1 1/2" in diameter, and would make an elegant addition to any table setting. 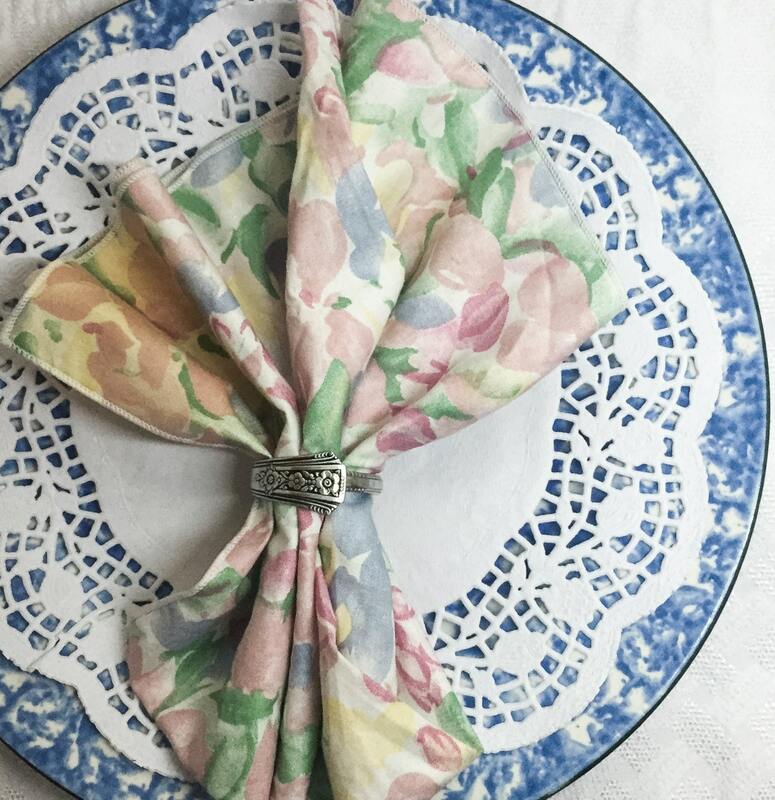 Add a little vintage flair to your next dinner party, give as a special hostess gift, or a unique gift for any occasion for someone special. 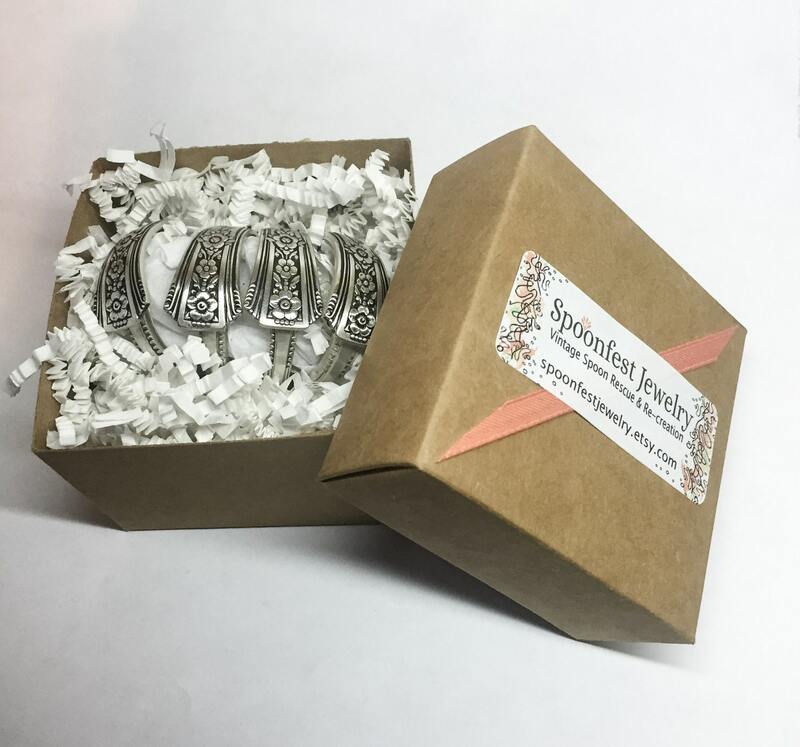 They will arrive festively packaged; along with a Spoonfest Jewelry story card, and the name/age of the spoons. They are so beautiful!! Quick shipping and seller friendly, professional and great to work with. I loved my first set do much, I ordered another. These are a perfect compliment to my bent spoon and fork napkin holders. Thank you! Have recommended spoonfest jewelry to all my friends. Love them! Beautifully packaged and quick to ship. 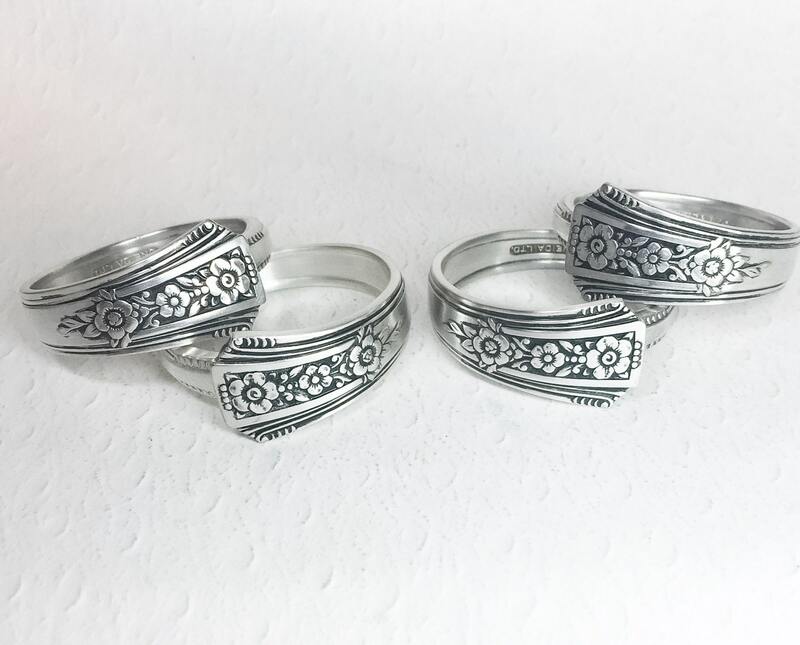 A Etsy favorite!